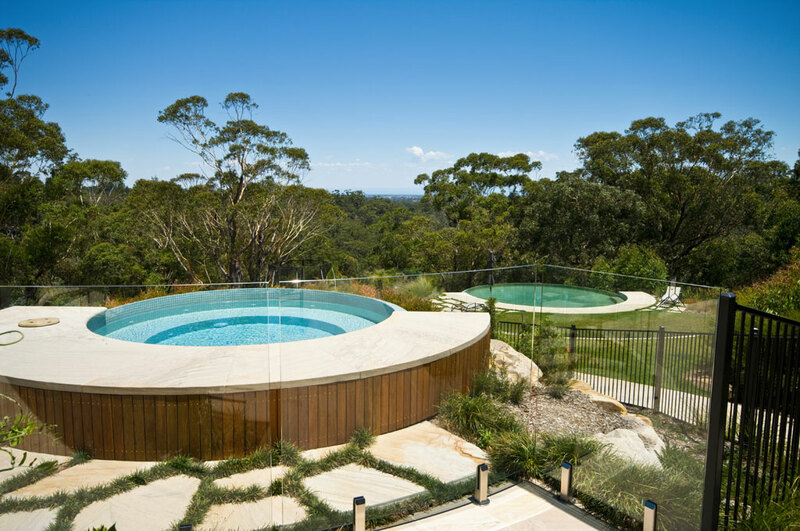 This stunning circular swimming pool is 8 metres in diameter and has a wet edge designed to extend your view into the bush beyond. 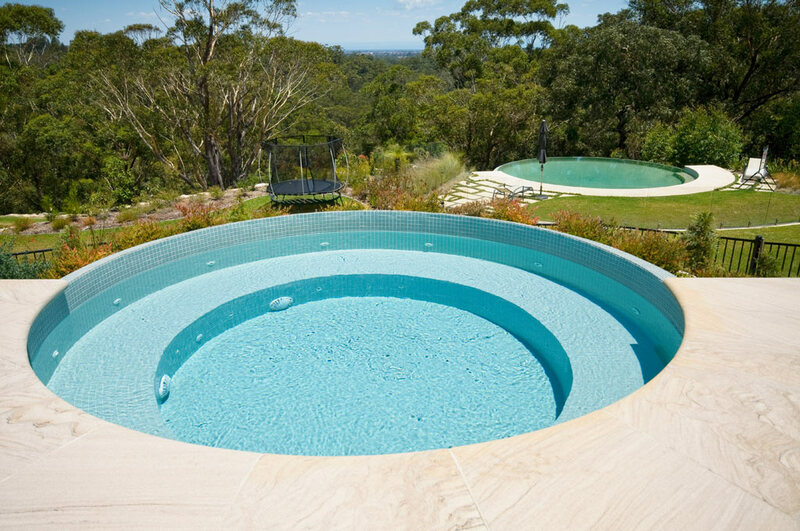 The pool is mirrored at the house with a smaller round fully-tiled spa. 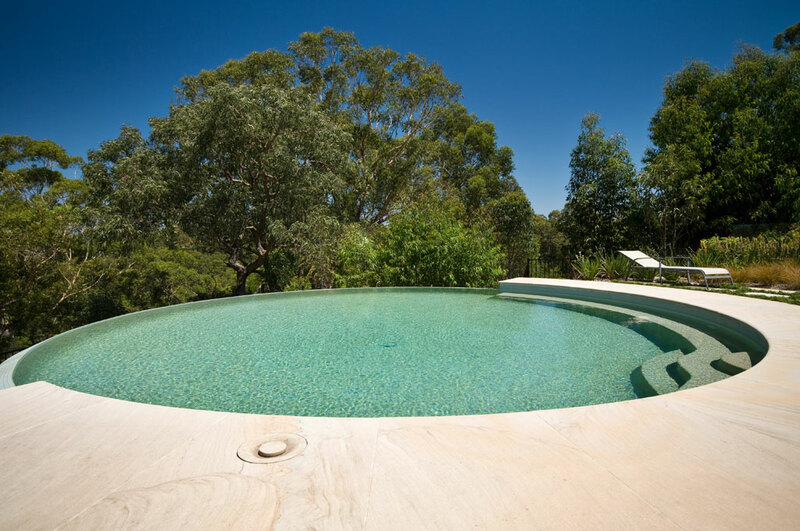 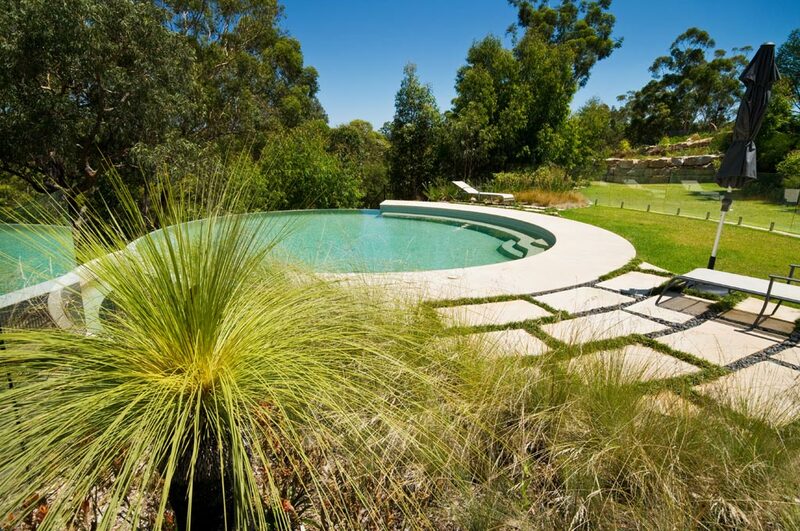 The choice of an off-white and gold pebble for the lining has created a natural look to the pool which blends well with the surrounding bush whilst the fully-tiled spa provides contrast with light blue tiles. 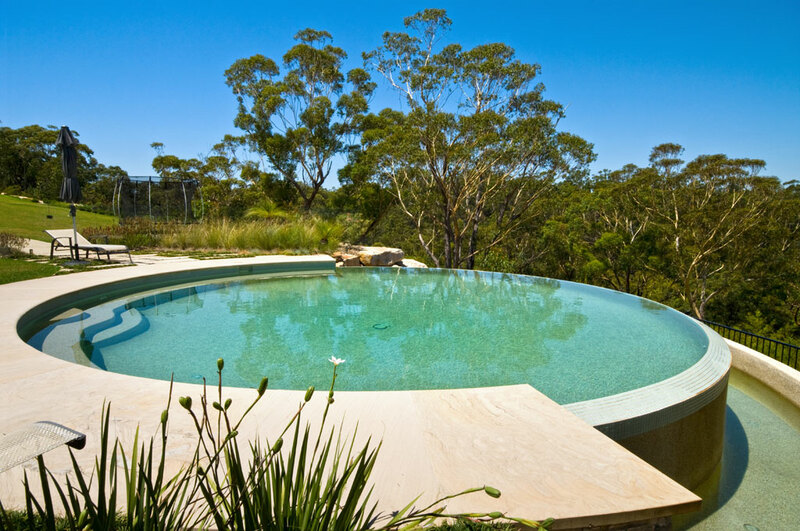 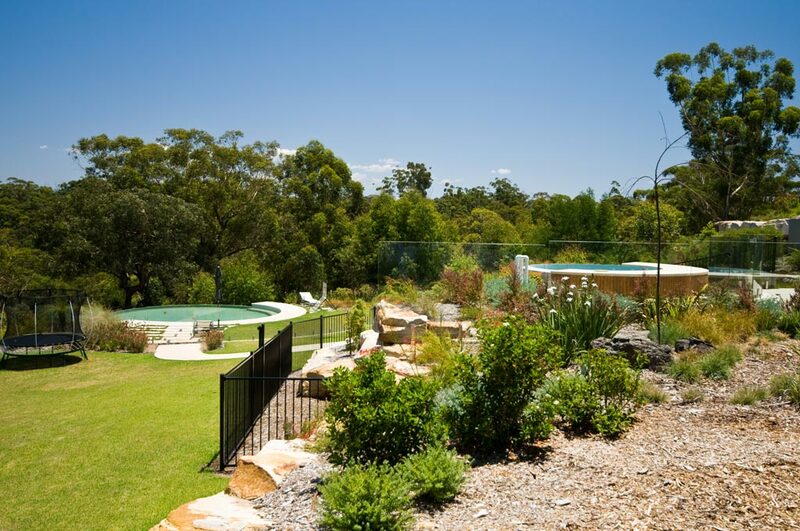 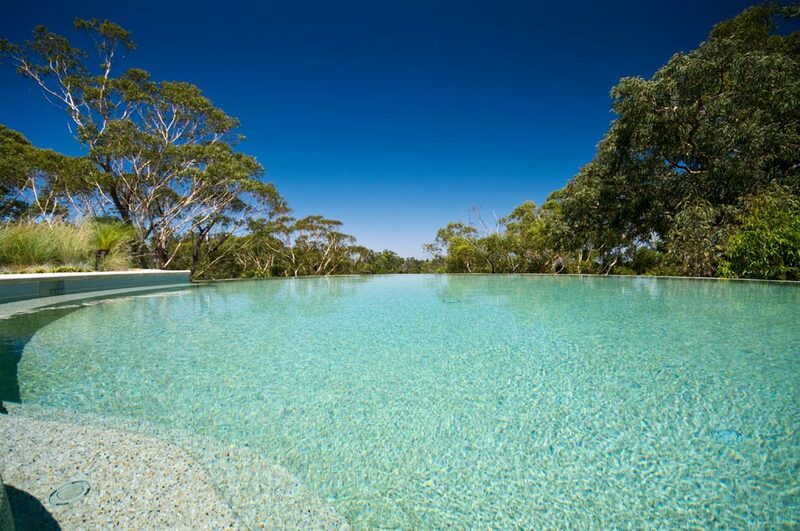 The choice of lining plays a major role in deciding the final colour of the pool and it is important to look for a balance with the natural surroundings.